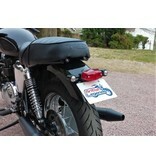 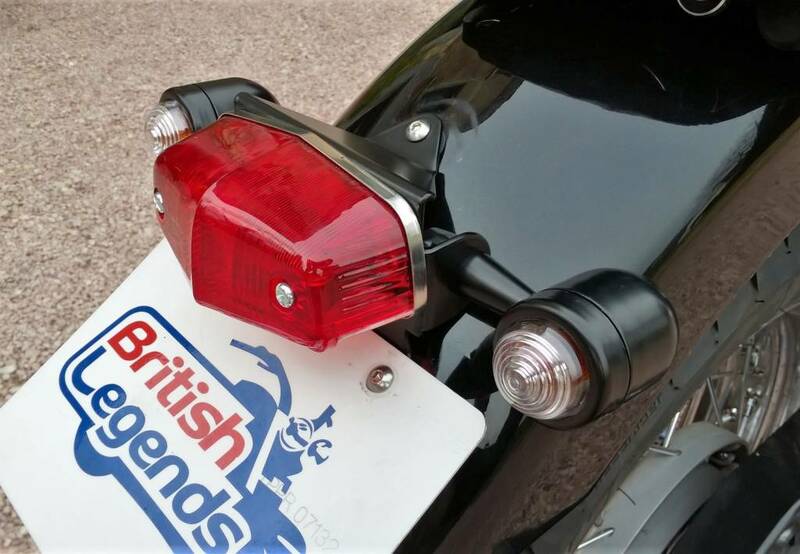 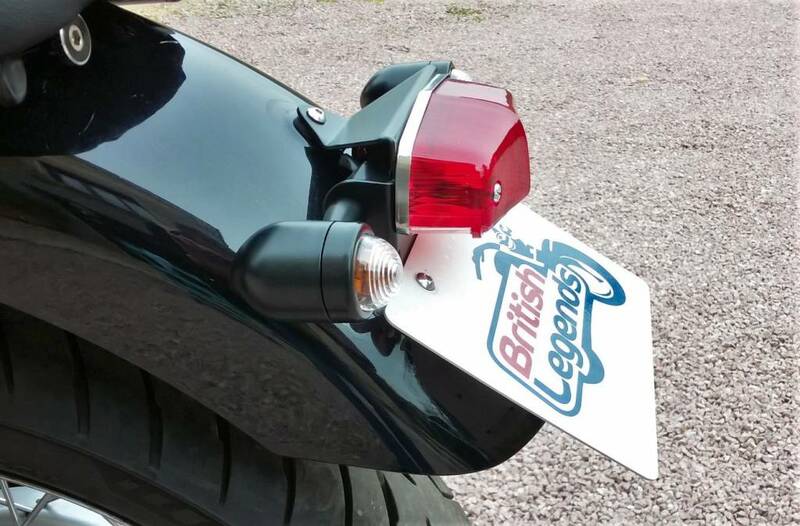 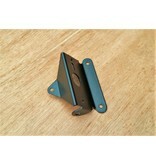 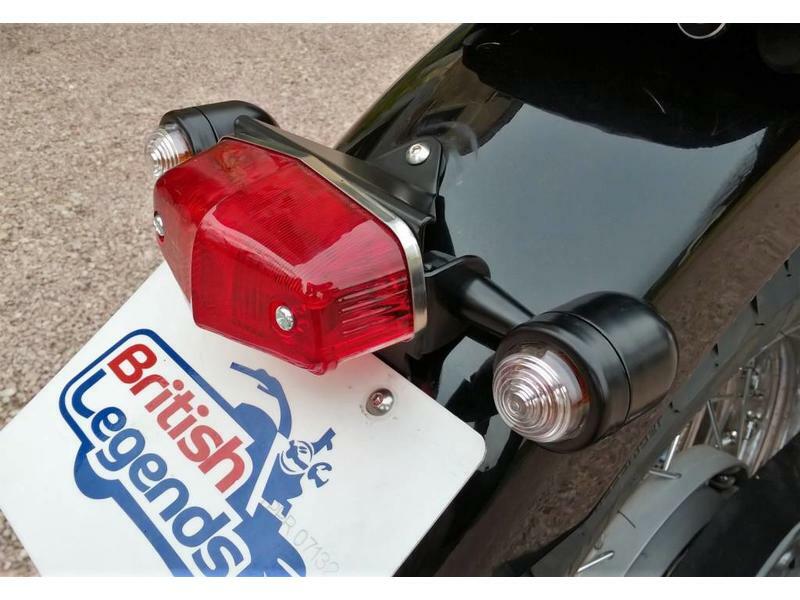 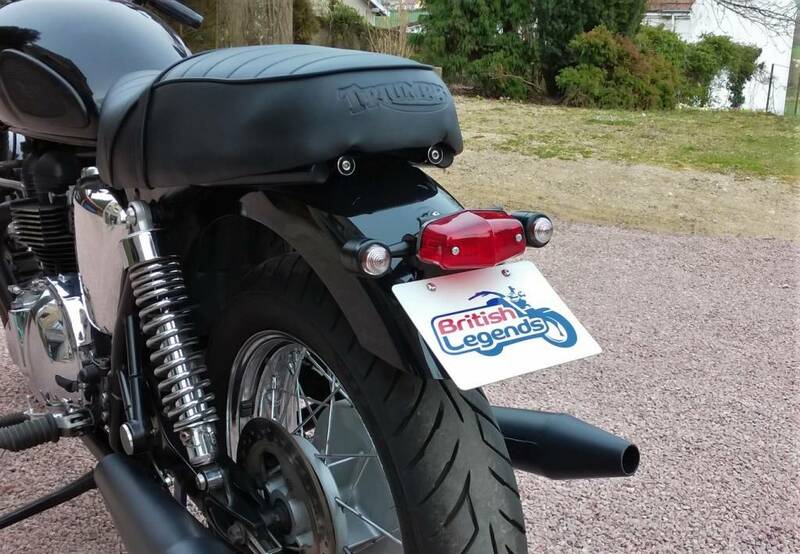 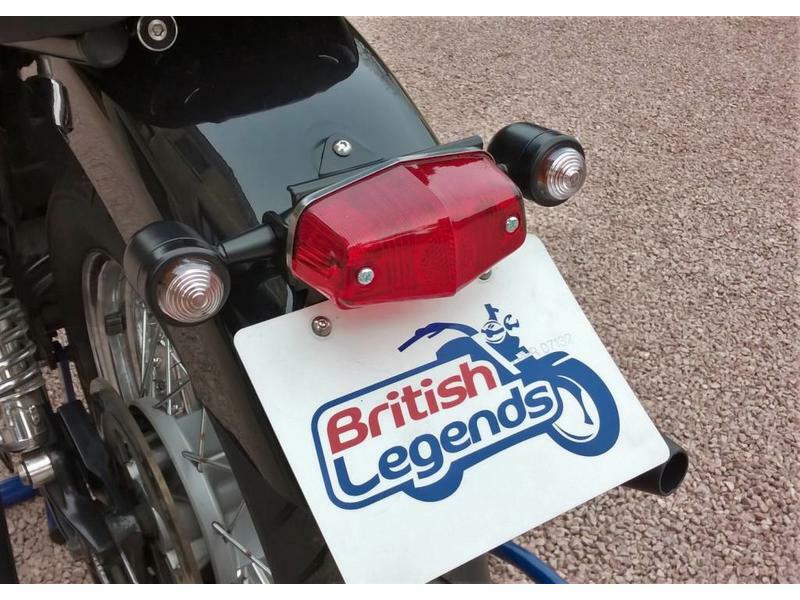 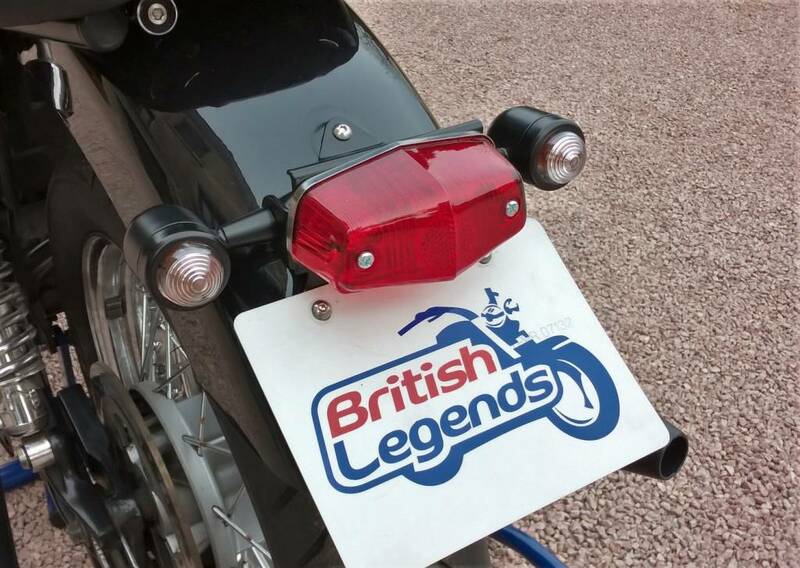 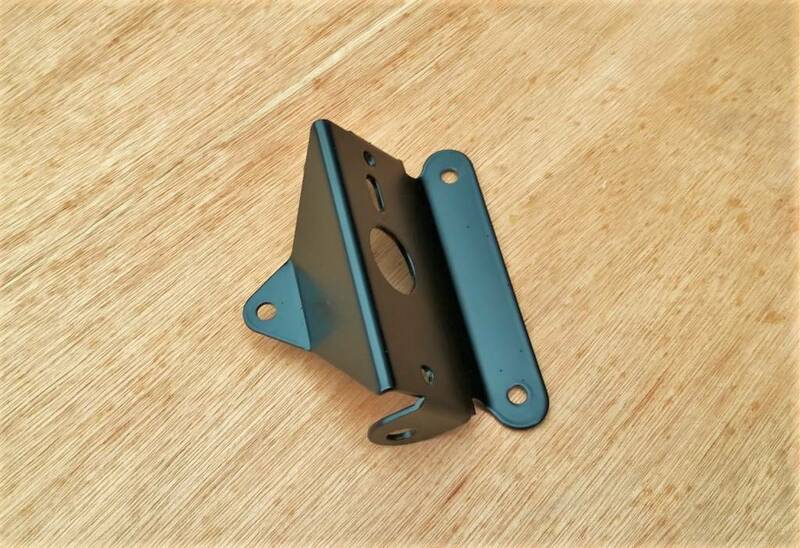 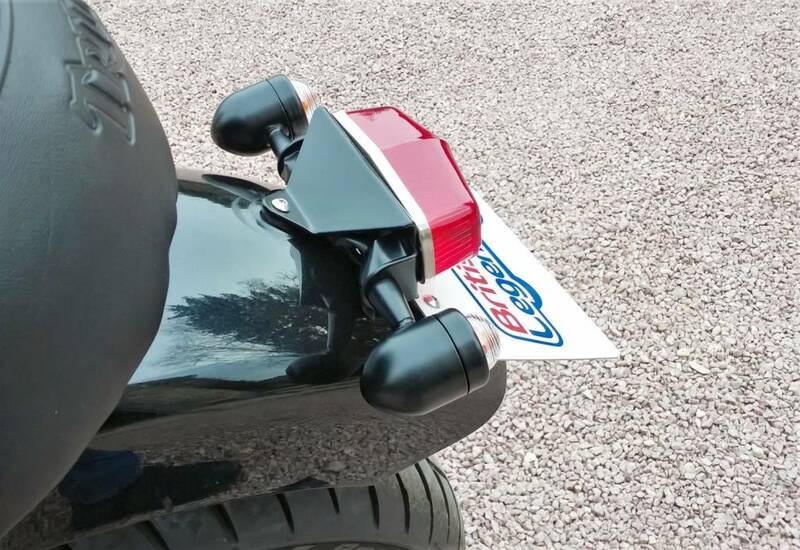 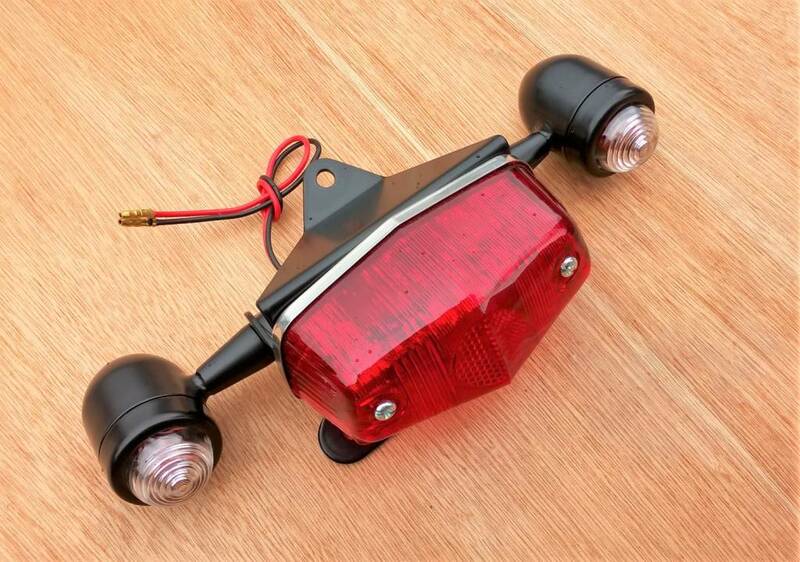 Lucas "Type 525" tail-light with a specific bracket for a direct fit on the rear mudguard of Triumph Twins (see models below). 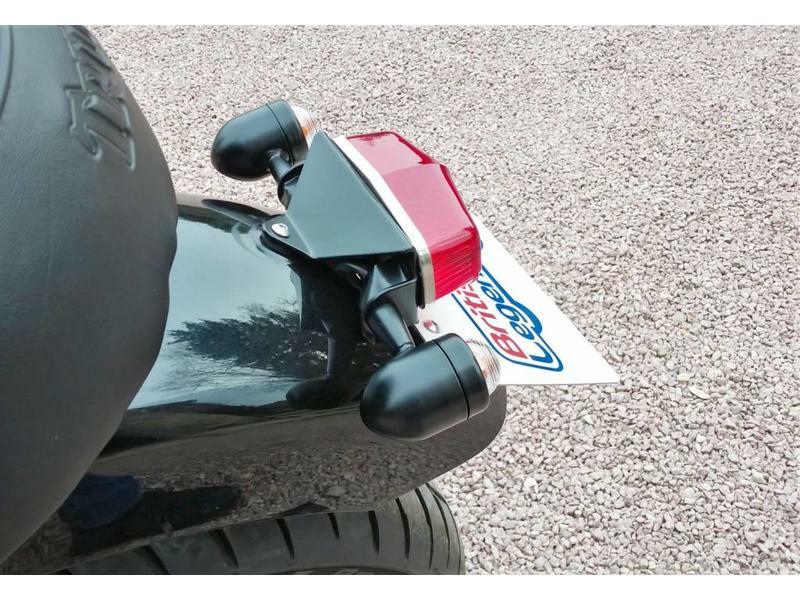 No need to drill ! 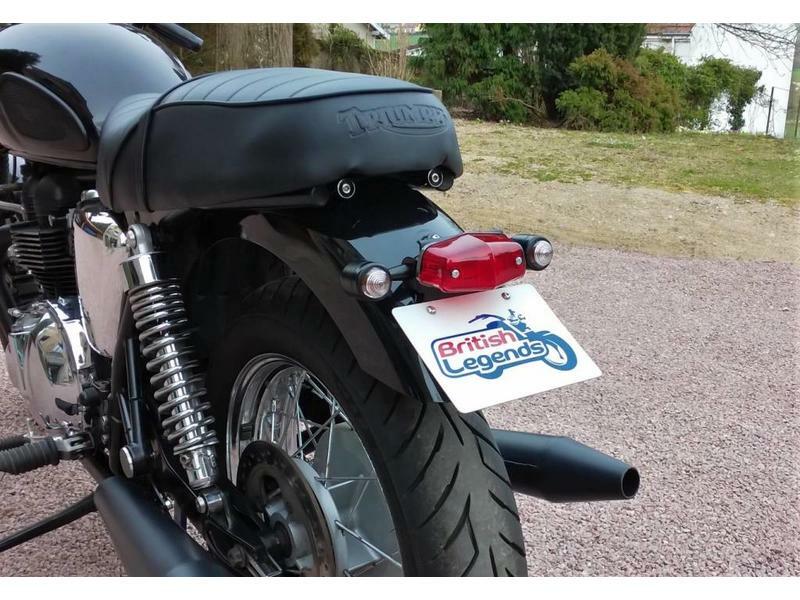 Does not fit directly on 2016+ versions with 900/1200cc engine, nor America/Speedmaster. 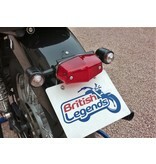 Exclusive British Legends design and support manufacturing locally in Burgundy. 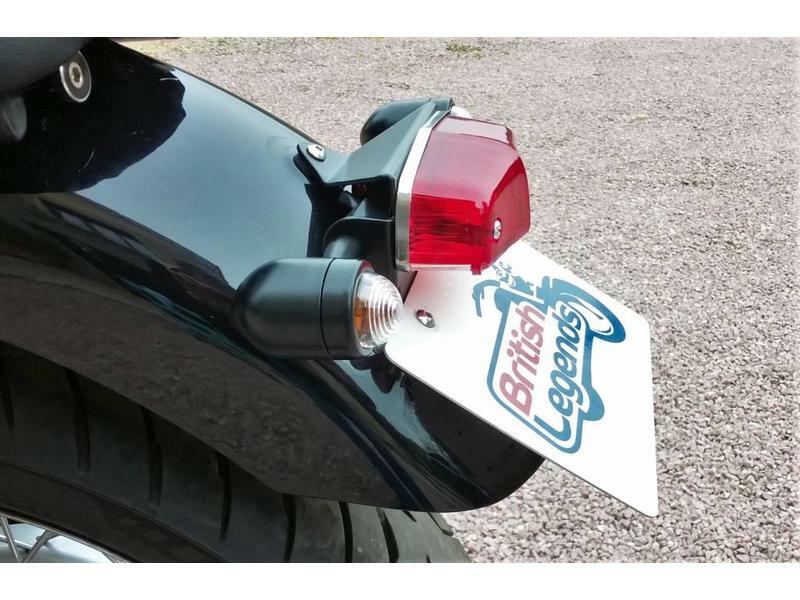 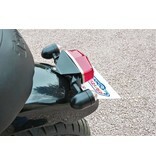 Designed to use (and hide) the holes that secure the original light unit in the fender of your motorcycle. 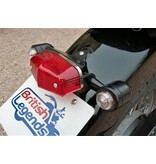 You unplug and remove the original light unit, you fit our kit and presto, it's done! 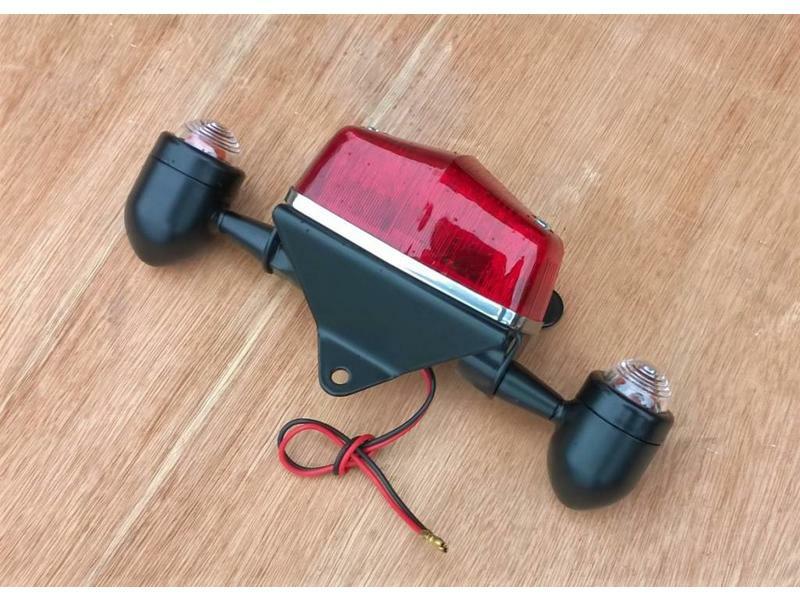 As an option, a loom that allows the connection of the light (and turn signals) in a few minutes, without having to cut/splice the wires of your bike (details here). 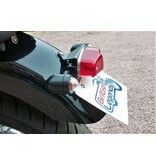 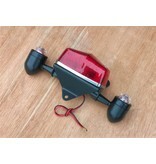 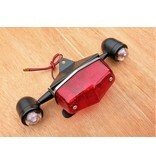 Includes mounting points for turn signals. 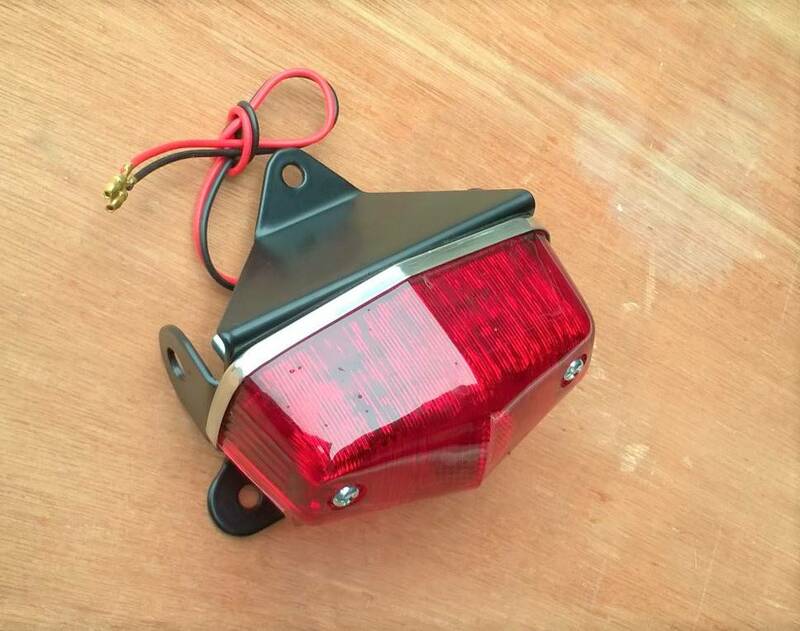 Indicators are not included, but you can find those in the photos here. 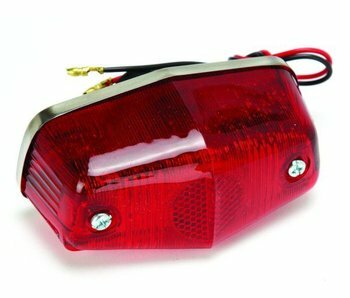 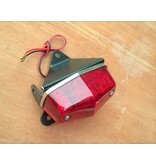 Re-issue of the mythical Lucas "Type 525" Sixties motorcycle tail light.